Exploring advances in clinical cannabinoid research, energy-based Ayurvedic concepts, and breakthrough product development. During the fourth quarter of 2018, Innovations w/Ed Begley Jr. will explore some of the latest breakthroughs taking place in Ayurvedic Science, Clinical Cannabinoid Care and Emerging Biotechnology. Check your local listings for more information. With an inside look at GreenTech Laboratories (GTL), the feature segment will focus on the increasing demand for alternative approaches to chronic degenerative diseases such as cancer, neurodegeneration, and chronic pain, using cannabinoid science and Ayurveda. Spectators will see how GTL’s proprietary clinically proven medicines and wellness protocols merge Vedic science, biotechnology, and nature to create and illicit positive health outcomes and stabilize inner wellbeing. Viewers will be educated on cannabinoids’ use as an element of Ayurveda and will be educated about GTL’s targeted drug delivery and the basis of GTL’s proprietary nanotechnologies, which can program molecules to perform a sustained and controlled distribution of therapeutic agents for better absorption and assimilation. “GTL’s world-class executive and scientific advisory team, strategic private and government partnerships, and proven product development expertise, enables it to maximize the value of its healing products and shareholder return, while maintaining authenticity toward the conscious progression of humanitarian ideals,” said Brett Ferrigan, producer for the Innovations series. GreenTech Laboratories is a socially aware and ethically responsible Bio-Pharma, Bio-Energy and Ayurvedic Research company developing natural, non-toxic, clinically proven therapies addressing cancer and other chronic conditions located in the Bay Area of California, USA. 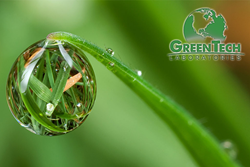 For more information, visit: http://www.greentechlaboratoriesinc.com.